Separate sitting area with table and benches. 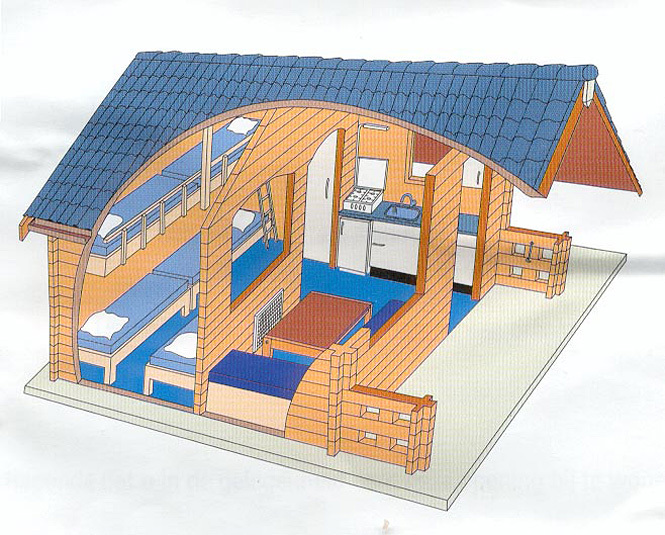 Sleeping area with 5 beds, 2 of them are on a higher level. 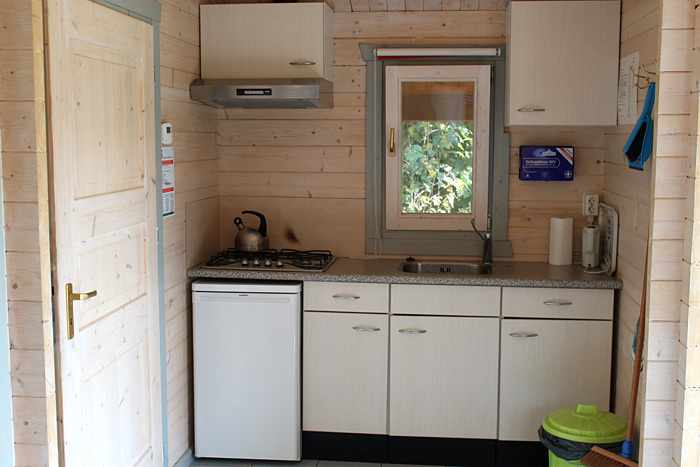 Fully equipped kitchenette (4 electric jets) and refrigerator. Pillows are available, bedding has to be taken with you or can be rented. The use of shower and toilet in the main building.